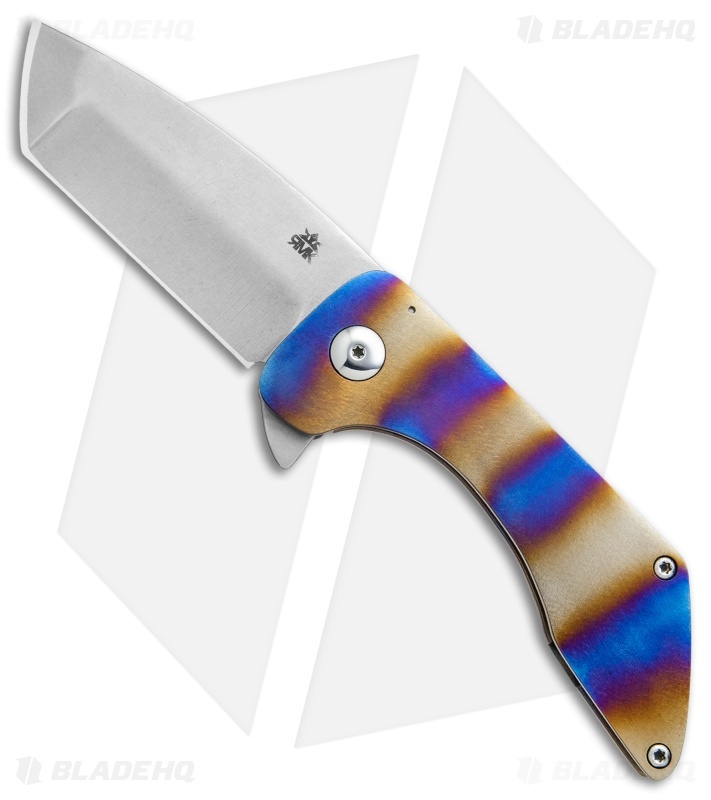 The Vampire Killer is a more carry-friendly flipper design from RichMade Knives. This knife is equipped with a stonewashed O1 tool steel blade in a tanto style with a compound grind and flipper opener. 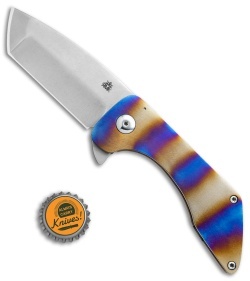 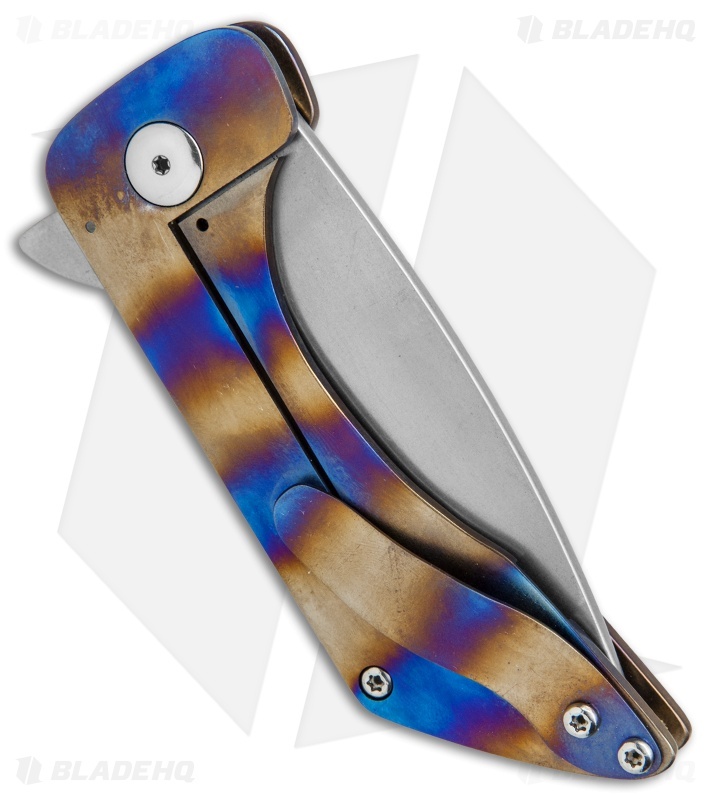 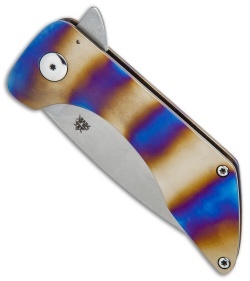 Its titanium frame lock handle is open built with knurled standoffs, and has a flamed stripe finish. The knife comes with a tip-up titanium pocket clip for everyday carry.